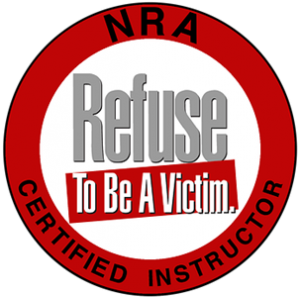 The Refuse to be a Victim Class is a four hour crime prevention seminar, presenting a variety of information to help you take a pro-active role in personal safety. From setting up a home defense plan and safe room, to using your internet service provider’s (ISP) parental control options to block access to adult material and adult chat rooms, the Refuse to be a Victim program has information for everyone. Length and setting of Course is 4 hours of classroom instruction.